Hotel 540 is Kamloops' downtown landmark hotel. An iconic piece of Kamloops’ history and skyline since November 1963, we are the proud host of many of the city’s finest events. Our fun, fresh, and bold personality provides a unique sense of arrival, offering a refreshing hotel experience in Kamloops. This collaborative project is ongoing but initially started out as an opportunity to rebrand the business-friendly hotel located in downtown Kamloops. Including name development and logo design, our team works with the hotel on an ongoing basis to consult and provide design services for event marketing, plus facilitates and implements engagement strategies to assist the hotel in standing out in this highly competitive hospitality market. 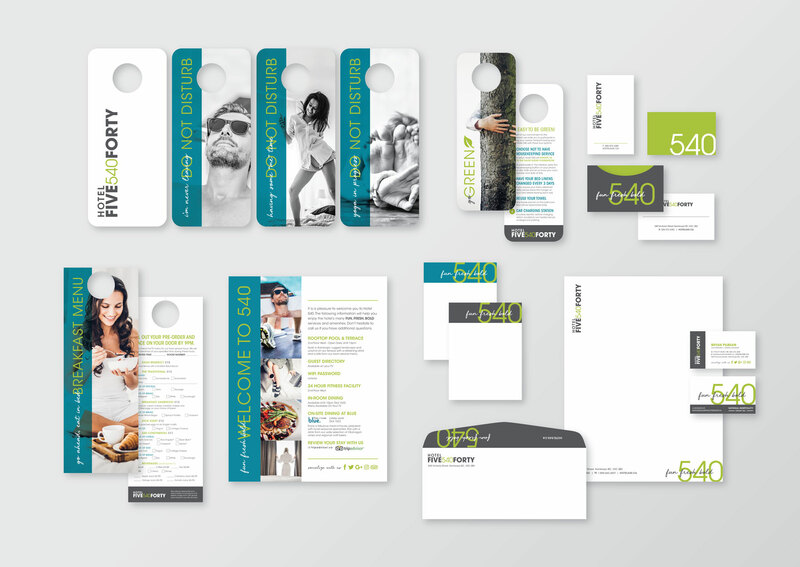 The Fresh team recently completed a brand re-fresh of the hotel's existing marketing materials and website. The re-fresh features a handwritten accent script font and a colour palette of neutrals, accented with lime green and pool blue staying true to their "Fun, Fresh, Bold" motto.